KONKRETE water tank will allow you to enjoy clean and hygenic water at a comfortable temperature while saving you money. The tank made from concrete provides insulation against cold and hot atmospheric conditions. 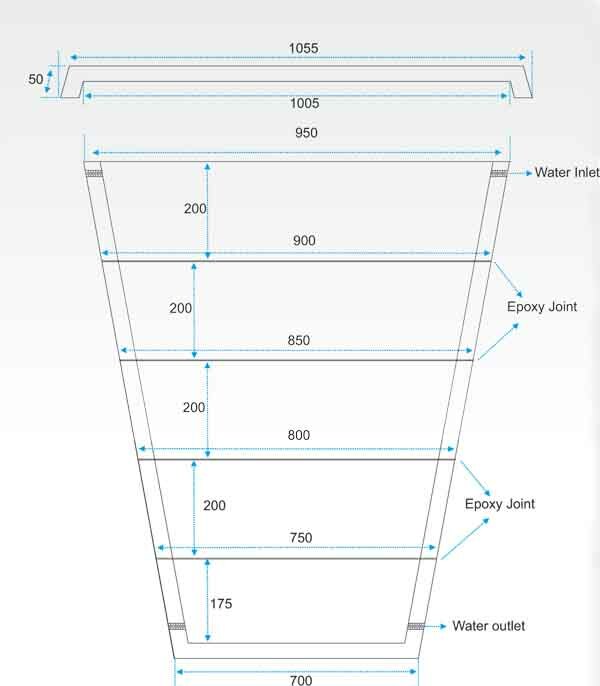 In addition, modular configuration of the tank allows for easy shipping, storage as well as easy assembly in difficult to access locations even if access is through a narrow staircase. Moreover, it costs less than a plastic tank.